Through the ATC Network website we connect ATC/ATM professionals worldwide and provide the latest developments in the industry. From daily updated news, calls for tender, product showcases, upcoming events, publications and 600 Organisations in our Company and Product Database for the ATC Industry worldwide. ATC Network is an easy way to interact with people in your working field, and an effective and efficient method to generate new business contacts. Join our community! Register for free and get yourself connected to find out the advantages. EC urged to involve ANSPs closely in scrutinising new recommendations from Wise Persons Group - The A6 Alliance notes with interest the report of the Wise Persons Group (WPG), which was commissioned by the European Commission (EC) to provide an additional perspective on the future direction of the Single European Sky (SES) and its institutional framework. The A6 Alliance will now study carefully the recommendations in the report and respond fully in due course. In order to tackle and significantly lower smuggling and other criminal activities in Jamaica, the government is implementing the Maritime Domain Awareness Capability Initiative, a far reaching programme aimed reducing the proliferation of maritime threats. A key component of this initiative is the implementation of a national coastal surveillance system operated by the Jamaica Defence Force. In order to fulfil this big ambition, Jamaica is relying on Thales for the supply of coastal surveillance system built around the Coast Watcher 100 radar. During the World ATM Congress 2019 in Madrid, GroupEAD and NedGraphics renewed their partnership contract for Charting EAD training courses. The recently renewed contract will continue their partnership, which has been going strongly for 16 years now. NedGraphics and GroupEAD have been working together from the latter’s very start when it was founded in 2003. NedGraphics, subcontractor to GroupEAD, is successfully providing Charting Training courses to GroupEAD clients. All Charting Training courses are conducted at NedGraphics Headquarters in Vianen, The Netherlands. Indra will equip eight Argentine airports, including Ushuaia Airport, the southernmost city on the planet, with new instrument landing systems (ILS) that will increase operational safety in low visibility conditions. After winning this contract, the company now has a total of 29 ILS systems installed in airports throughout the country. ILS systems help aircraft to determine the glide slope to the head of the runway with total accuracy, helping to land in bad weather conditions. We are sorry. There are no items that match your selection. "Our sponsorship package with ATC Network has driven traffic to our website and we have found their approach flexible and supportive. They have taken the time to learn what you want to get out of it, and do their best …"
The course is designed to provide the students with a comprehensive introduction to Air Traffic Services in general and to develop specific theoretical skills in Air Traffic Services procedures and techniques required as essential base knowledge prior to rating training. The course comprises both theoretical and practical training. The course is compliant with ICAO standards and recommended practices. Please find the course schedule and description here. 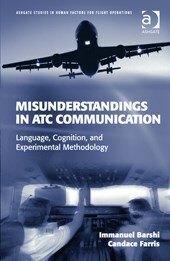 Effective radio communication between ATC and pilots has long been recognized as an important element of aviation safety. In recognition of the role miscommunications play in aviation incidents and accidents, the International Civil Aviation Organization (ICAO) recently introduced language proficiency requirements for all flight personnel in all ICAO member states. Using an effective and economical experimental paradigm, the research described here teases apart the complex combination of factors (e.g. Adacel is a global software technology and systems integration leader. The Company is a leading developer of interactive speech recognition technology, voice activated control systems, operational Air Traffic Management software and simulation systems for aircrew, air traffic control, airport vehicle operators and security training. Adacel has been selected as a Top Training & Simulation Company by Military Training Technology magazine and has been named as the Best Simulator Provider by Air Traffic Management magazine international poll.